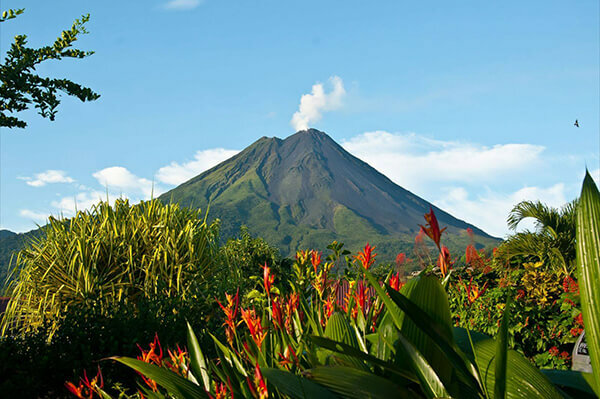 A scenic drive around the largest lake in Costa Rica will take you to the lovely mountains and colorful countryside at the bottom of Arenal volcano. Feel part of the jungle walking through the rain forest at the base of this perfectly conical shaped volcano. Our walk will begin at an area that was devastated by a violent eruption in 1968, which is now getting recovered, and where the views are amazing! This day will be topped off by a visit to Baldi Hot Springs, where mineral waters are famous for their therapeutic properties to treat arthritis, skin allergies and… stress. *Group discounts available from 8+ people. Includes: Round trip ground A/C Wi-Fi transportation, certified private bilingual guide, park entrance fees, lunch, and dinner. Comfortable shoes, change of clothes, sunblock lotion, swimsuit, and bug spray.